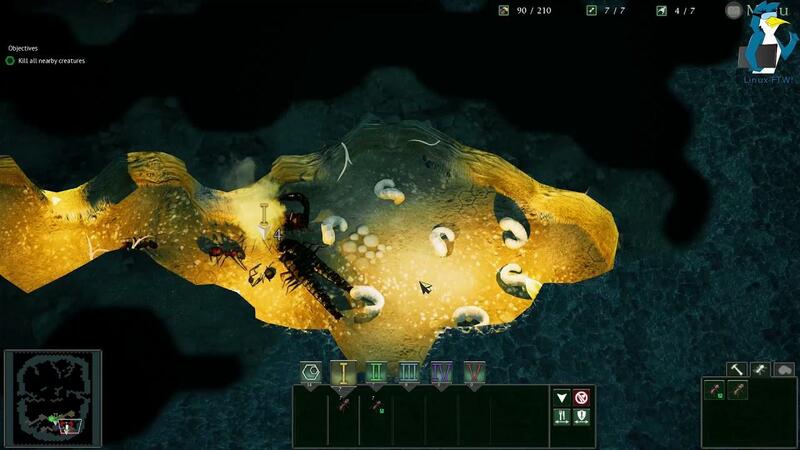 Empires of the Undergrowth [Steam, Official Site] is an Ant colony management and strategy game that's now in Early Access, I took a look and here's some thoughts. As first I was pretty grossed out, to the point that I felt like my skin was crawling. It's funny really, because it's just that good that it made me feel incredibly weird at the start. I quickly eventually got over that and once I did, I found a game that somewhat resembles Sim Ant meets Dungeon Keeper. I feel like that's really an apt way to describe it, but it very much digs its own nest in the gaming world. What I'm most impressed by is just how amazingly polished the game feels. From the animations, the lighting to the fantastic narration everything fits perfectly in place. The Linux version suffers no issues either, it was 100% smooth all the time which made for some awesome gameplay. I think it's quite rare to play a game that feels exactly how you want it to be, Empires of the Undergrowth is a great start to what I've no doubt will become a really fantastic game once it's finished. It's already very interesting and challenging, so it's worth checking out even now. Been eyeing this game for a while now. A little more content and they will get me jumping on it. May add this to the tonnes of games I am following. Look forward to an ant RTS. and kind of dungeons clone game. still will be playable with multiplayer options if devs add in future. seems quite nice. I will follow news about this game.